Jaydeep Gupta, Regional Head of Retail Banking, Africa and Middle East of Standard Chartered and other senior executives of the bank from the African region, engaged key influencers on SC Mobile, the bank’s groundbreaking mobile app. 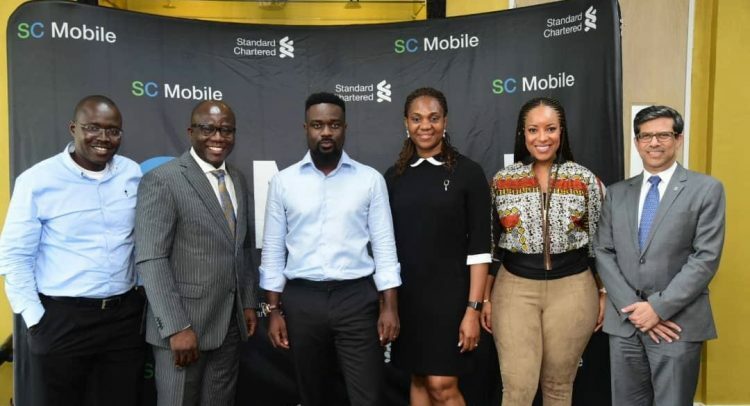 Among the select group of influencers were Sarkodie, Jocelyn Dumas, Gary Al Smith and Israel Laryea. The influencers gave rave reviews about SC Mobile and shared their experience with their fans and followers on the app. SC Mobile comes with an increased number of billers and is mobile money enabled. Clients can execute all their banking transactions right from their mobile device. Additionally, the bank has digitised 70 client services from being branch-led to the mobile platform. The app is available by downloading SC Mobile Ghana from the App Store or Google Play. New clients can open a bank account and provide all verification documents by uploading to the application and completing the onboarding process within minutes. The process comes with free debit cards which entitles clients to the Bank’s 360° rewards loyalty programme. The debit cards are delivered to clients via Ghana Post, making it a complete digital on-boarding process without clients interfacing with a branch.